The first of the 2016 study weekends. 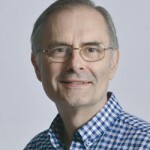 Our speaker is Dr Laurence Turner, retired Principal Lecturer in Old Testament at Newbold College. Genesis 1-11 provides an introduction to the whole of Scripture. It has always been considered foundational for everything that follows. Unfortunately, in recent years it has also become controversial. Most of these controversies rage over matters of science and history. However, the primary purpose of these chapters in Genesis is spiritual. So, we will spend time assessing the spiritual value of Genesis 1-11 by reading the text closely and asking what significance its words would have for its original readers. The aim will be to show how unexpectedly radical the narratives actually are and their relevance for us in the 21st century. Once we appreciate those matters we might have a different response to the usual scientific and historical questions.